Suitable for babies weighing 5-9 kg. 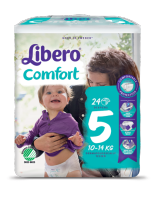 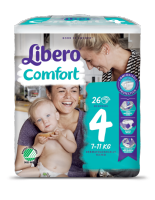 This is a thin and soft nappy with stretchy sides and soft elastics around legs that gently flexes with the baby’s movements, providing reliable protection against leakage. 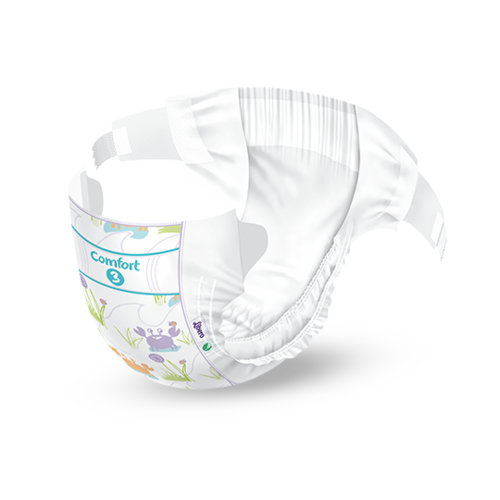 The nappy is free from lotion and is made from breathable materials so the skin is kept comfortably dry. 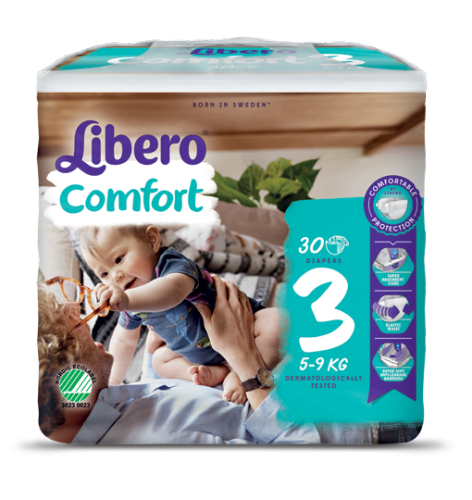 Ideal for the early stages of life, spending most of the time lying down, but also during the first attempts at rolling over.